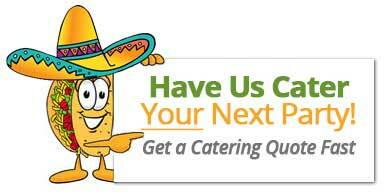 How to Choose the Perfect Business Catering Service? When it comes to a business event, positive impressions go a long way. It is extremely important to pay attention to every tiny and big detail to ensure a seamless and perfect event. A very important aspect to consider is the business catering service that offers the best of quality, taste and of course the overall impression it leaves. Every event organizer has very specific demands and needs and you need to find someone who is responsive to and able to cater to your individual requirements. This requires you to first think and plan out what your personal needs are. While a caterer may be exceptionally popular if its for a business event you need to make sure they have experience in business catering per se. catering for weddings or other events is different from business catering because of the professionalism that comes in to the event environment. A fixed menu may be great but if you want to cater to individual tastes you need someone with more menu flexibility. You should be able to pick and choose what you want rather than just be fixed with whatever is on offer. However great the reviews claim a caterer to be unless you get a firsthand experience you can never be entirely sure. A business catering service that offers tastings is thus an absolute must to make a final decision. If you want to avoid last minute chaos and confusions, opt for a business catering service that maintains transparency from the start and all through the process. This includes the terms and contracts and all communications. Sac Tacos offers professional and quality Sacramento business catering services to help you make your business event the best of its kinds. From being the most sought after Mexican catering in Sacramento, we extend our reach to El Dorado Hills, Roseville, Granite Bay, Rocklin, Rancho Cordova. We can help you make the perfect impressions at your next business event.